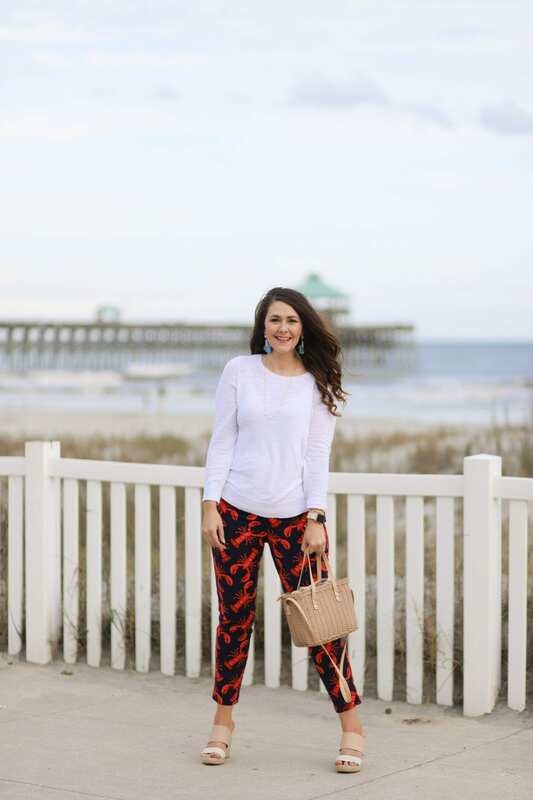 This post contains affiliate links + gifted items. 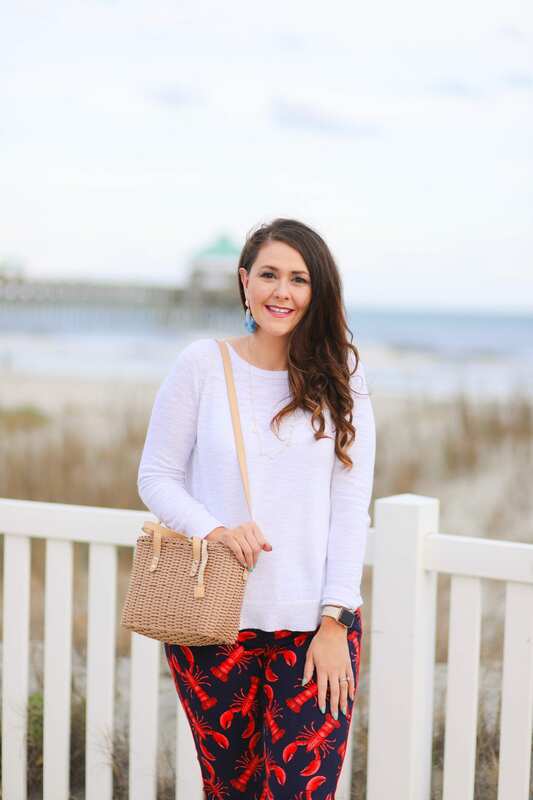 I’ve loved a good nautical outfit since college, and it still works because it’s TIMELESS. 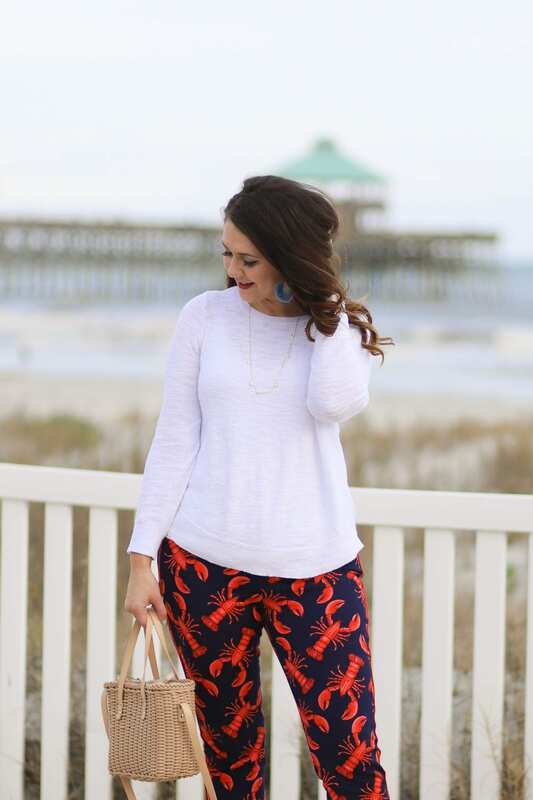 There’s no beach look more classy than a nautical look. 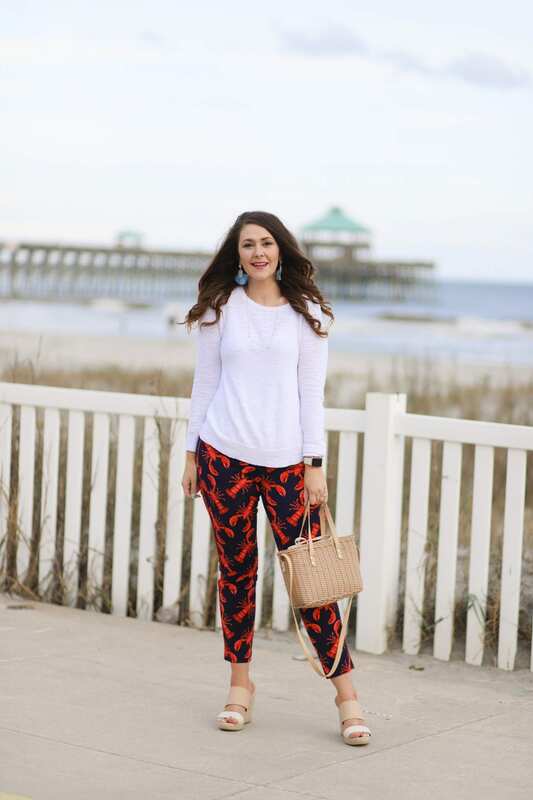 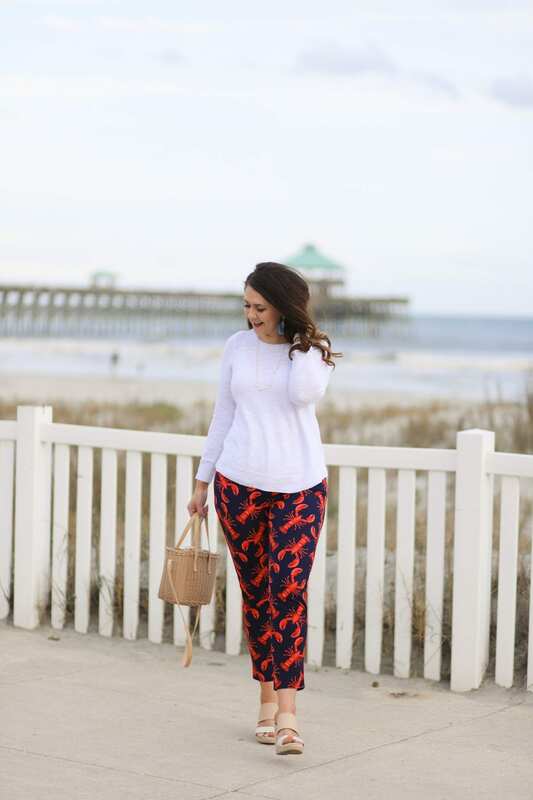 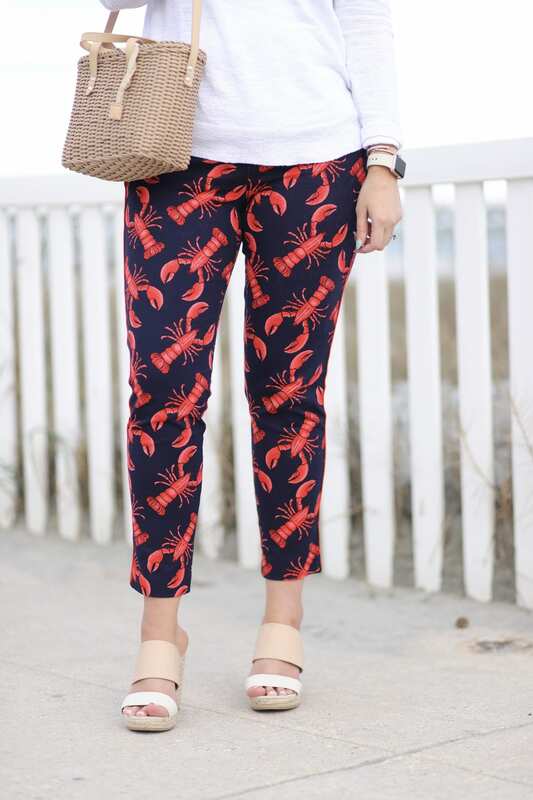 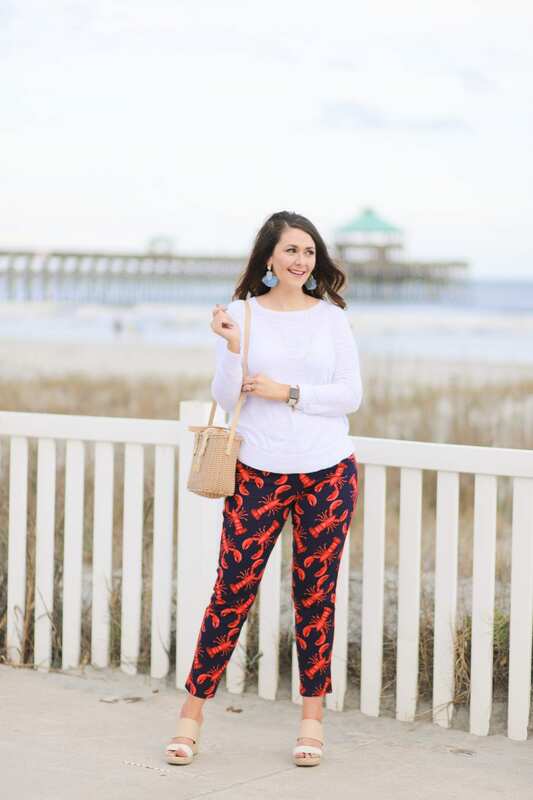 If you’re heading to the beach soon and it’s still a little chilly, then you need these lobster print pants in your suitcase for the perfect nautical beach outfit. 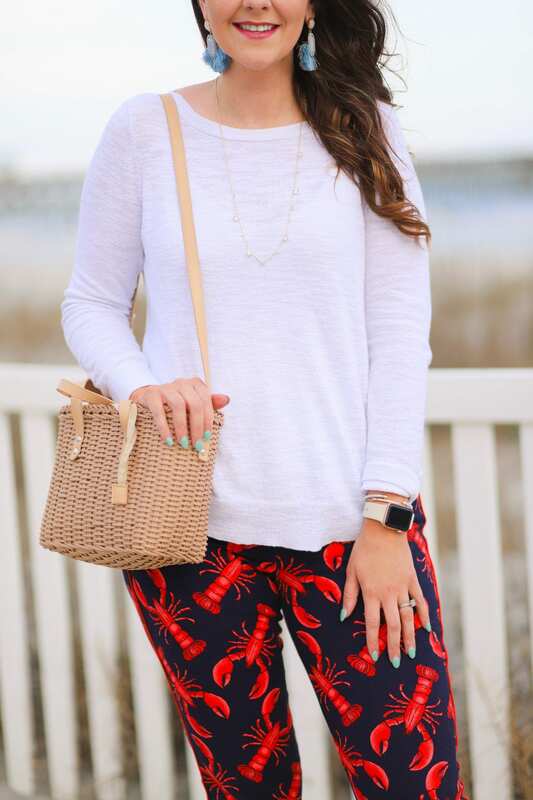 The straw basket bag really compliments the beachy vibeof the outfit. 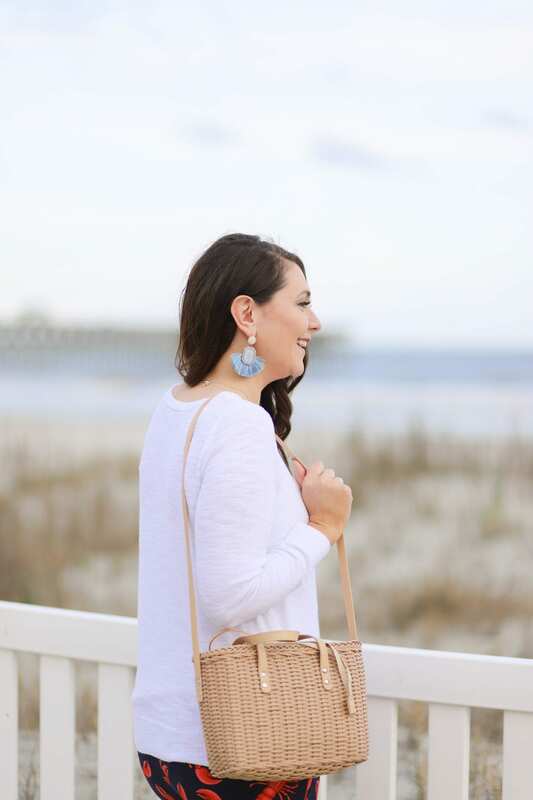 Straw/woven bags are BIG again going into summer, so I’ve looked for new shapes, like this basket bag, to refresh the trend. 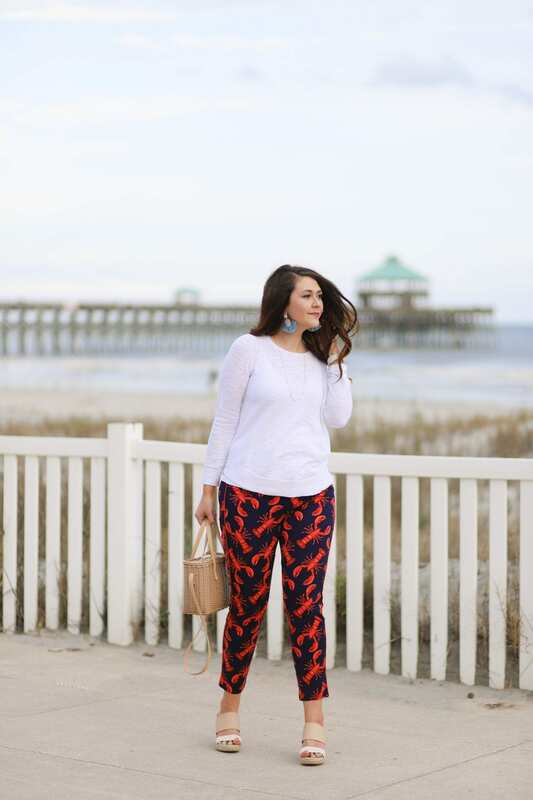 And for a trendy update to the nautical trend, toss on a pair of statement earrings in a pastel shade. 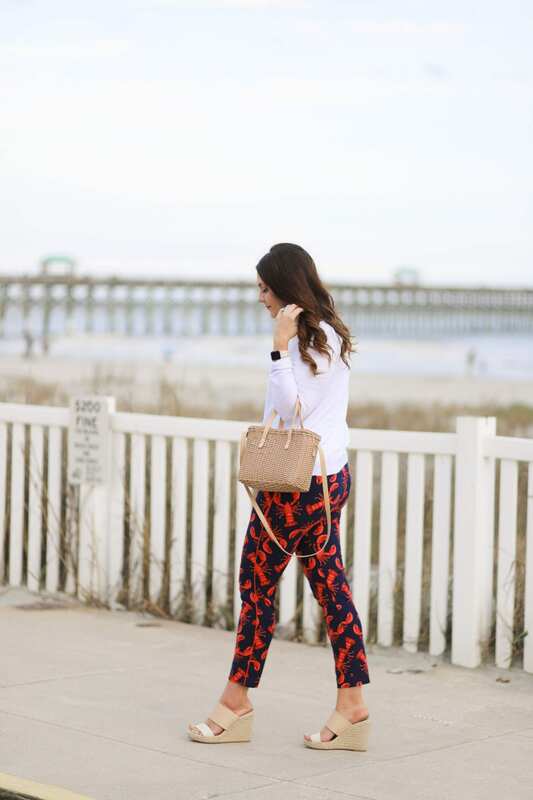 You don’t have to be matchy-matchy. 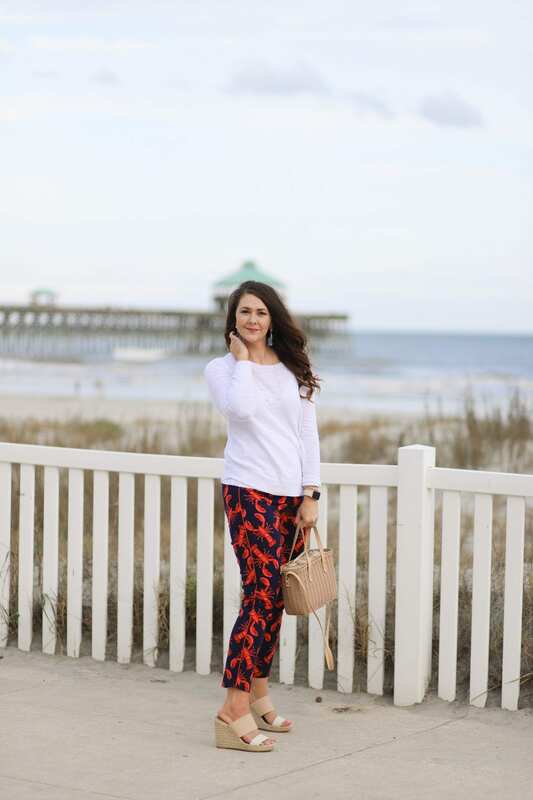 I wore this outfit out to dinner at the Bohemian Bull, which is one of my favorite restaurants in the Charleston, SC area. 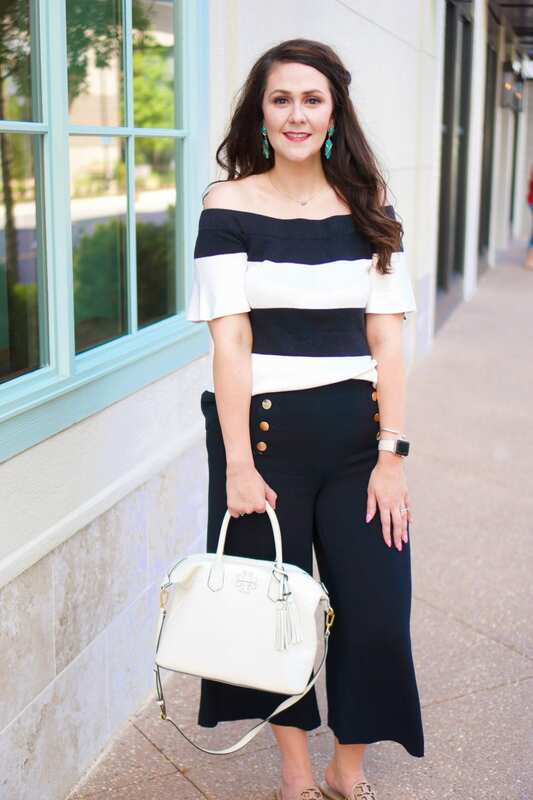 It worked well for dining on their patio.